Vinyl wood flooring offers all the natural beauty of hardwood floors, without the maintenance. 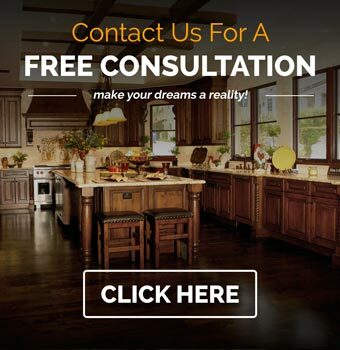 We understand that picking out new flooring for your home can be a tough decision. After all, whatever you choose you’ll have to live with for years. If you like the look of hardwood floors, you may be interested in installing luxury vinyl plank flooring. In this blog post, our Grand Rapids flooring contractors at Complete Flooring & Interiors will go over the pros and cons of luxury vinyl flooring so you can make an informed decision for your home. The cost of luxury vinyl flooring is less than what you would pay for hardwood floors. This is why more and more of our upscale clients are asking about luxury vinyl flooring. Vinyl wood plank flooring comes in a wide variety of natural hues and grain sizes to mimic the appearance of hardwood floors. While the cost of hardwood flooring can vary dramatically based on the tree species, you don’t have the same limitation with vinyl flooring. Since the pattern of wood grain is printed onto the vinyl, you can opt for the look of exotic tree species without paying obscene amounts of money. Luxury vinyl flooring is a durable floor for pets and children. Stop worrying about spills and stains. As long as you clean up spills right away, you don’t have to worry about lasting damage to the floors. The water resistance of vinyl hardwood makes it the perfect choice for bathrooms, kitchens, laundry rooms and more. Some luxury vinyl flooring products are even entirely waterproof. Vinyl flooring is also more resistant against scratches than hardwood floors, which means you can install it in entryways or other high traffic areas in your home. While vinyl hardwood is resistant against stains and scratches, it isn’t immune to damage. Vinyl wood planks are not repairable and will need to be replaced to remove scratches, dents, and dings. Make sure you take care of your vinyl flooring so it’ll last you for years to come. Vinyl floors are softer than hardwood floors, which can either be a pro or con depending on who you ask. Some homeowners appreciate being able to have the look of hardwood floors with the comfort of a softer surface. This can be especially true for rooms where people spend a lot of time on their feet, such as kitchens. Some vinyl floor products also come with sound barrier backing, which muffles footsteps. Other homeowners may feel that vinyl floors don’t have the authentic feel of hardwood floors. Hardwood floors add value to your home like no other type of flooring. Nothing beats the traditional look and appeal of hardwood floors, especially when trying to sell your home. 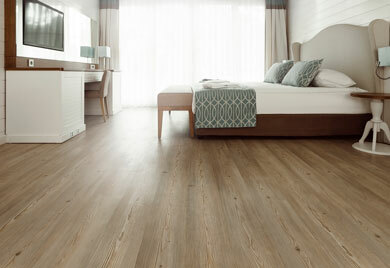 While vinyl mimics the look of hardwood floors, it doesn’t add the same value to your home. Complete Flooring & Interiors is proud to offer luxury vinyl flooring products in addition to hardwood flooring. If you are interested in learning more about luxury vinyl flooring, feel free to call our Grand Rapids flooring installers at (616) 458-4806.